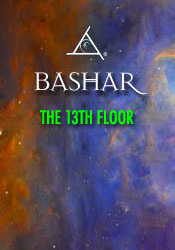 Only Bashar would describe numbers as “the perception of certain proportions… in nature that represent certain vibrations.” In this session he discusses numerology, specifically a deep dive into the history, mysteries, and potentials of the number 13. This frequency of transition is often taboo in our culture and others, as it represents an archetypal gateway through which we can connect to higher dimensions. Here Bashar explores how to use the vibration of 13 to access specific inner gateways, and gives us an intriguing permission slip to explore during this time of accelerating change. Power tools used by the Pharaohs. Risk of a nuclear terrorist incident in the USA. The symbolism of the movie "Titanic."